iOS developers aren’t the only ones slashing prices for Black Friday 2011; there’s also some awesome discounts to be found in the Mac App Store. One of the best we’ve discovered this morning is over half off all three of Rockstar Games’ Grand Theft Auto titles for Mac. The classic Grand Theft Auto 3 trilogy — including Grand Theft Auto III, Grand Theft Auto: Vice City and Grand Theft Auto: San Andreas — is finally coming to OS X later this year, according to Rockstar Games. Look for the long-awaited release of the classic Grand Theft Auto Trilogy (Grand Theft Auto III, Grand Theft Auto: Vice City and Grand Theft Auto: San Andreas) for Mac – most likely later this year. We’ll have much more info and a proper announcement soon. It’s about time, but don’t mistake the release of these titles as Rockstar finally getting serious about a commitment to Mac. 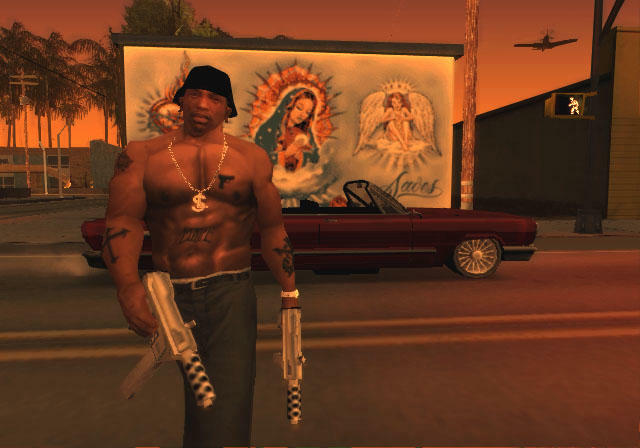 The PC versions of the latest game we are talking about here — the superlative San Andreas — is well over five years old, which means it’ll run just dandy with a Wine translation layer on a modern Mac. Still, something’s better than nothing, although at this point, I’d be happier if they ported Bully.